Info: Drugpa Khar, who was in his twenties, doused himself in gasoline and set himself on fire in Amchok town in Sangchu (Xiahe) county in Kanlho (Gannan) Tibetan Autonomous Prefecture, Gansu, on the third day of Tibetan New Year (February 13), according to Tibetan sources in exile and Radio Free Asia’s Tibetan language service. Drugpa Khar was a father of three children aged between one year old and six. 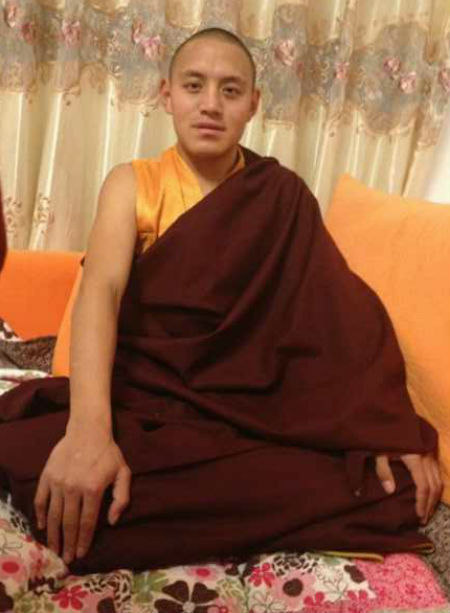 He was born in Lushu Kyi village in Tsoe, Kanlho, theTibetan area of Amdo. For Drugpa Khar, 26 yrs old, who self-immolated on February 13 in Amchok, Sangchu Region of Kanlho, Amdo.